Currently, IIM-Ahmedabad offers six programmes and has over 1,000 students on its campus spread over 103 acres. 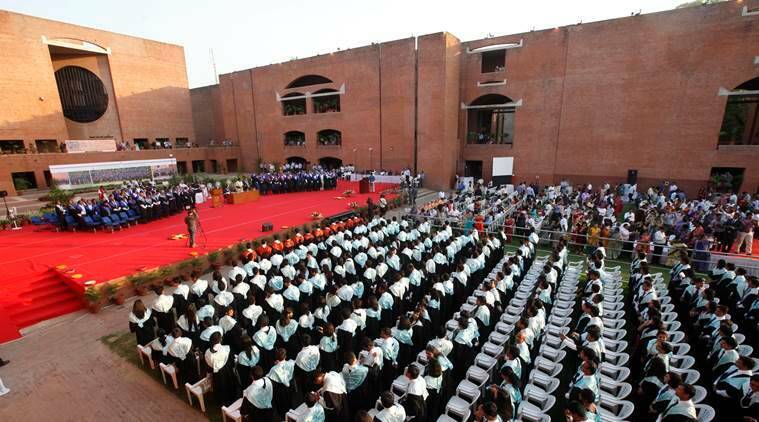 The Indian Institute of Management in Ahmedabad (IIM-A) has sought a loan of Rs 316 crore for infrastructure expansion to accommodate 380 more students on campus, The Indian Express has learnt. The premier business school has requested funding from the Higher Education Funding Agency (HEFA) to add around 10 lakh square feet of academic and support facilities, including a new academic complex, a state-of-the-art sports complex and sports field, and separate housing facility for teachers, students and staff. HEFA was set up by the government as a Section 8 company — one with charitable objectives — last year to mobilise funds from the market and offer 10-year loans to centrally-funded institutes (CFIs). According to a Union Budget announcement this year, all financing in future will be done through this agency for infrastructure development at CFIs . HEFA has so far approved loans worth over Rs 10,000 crore and almost all of it is meant for IITs and NITs. While IIT-Bombay has secured a loan of Rs 520 crore, IIT-Delhi got Rs 200 crore sanctioned. IIT-Kanpur’s loan is worth Rs 359 crore and IIT Kharagpur’s Rs 520 crore. HEFA has not sanctioned any loans for an IIM yet. IIM-A, in all probability, will be the first to have one approved. According to sources in the government, the institute’s request is being processed by the HRD Ministry, which needs the Union Cabinet’s nod before HEFA approves the loan. Currently, IIM-A offers six programmes and has over 1,000 students on its campus spread over 103 acres. The institute’s existing infrastructure is 50 years old and IIM-A will use its own funds to finance its restoration, conservation and upgradation, D’Souza wrote in the letter. The HEFA loan, once approved, will be spent on five new projects: a new academic complex spread over 2.24 lakh square feet, a new sports complex spanning 5,200 square metres including a swimming pool, sports area, gymnasium, yoga centre, badminton and basketball courts, student hostel with 384 single occupancy rooms, faculty housing containing 56 apartments and a new accommodation facility for institute staff. Out of the Rs 316 crore, roughly Rs 89 crore is meant for the academic complex, Rs 27 crore for the sports complex and field, Rs 104 crore for student housing, Rs 58 core for faculty housing and Rs 39 crore for staff housing.